Mumbai: The country's largest lender, SBI has said that public sector banks should be given an opportunity to tap the best talent from premier institutes like IITs and IIMs. "The public money goes into formation of the institutions like IITs and IIMs. From all of these good institutions, which nurture the best talents of the country, the public sector banks are barred from recruitment," SBI chairperson Arundhati Bhattacharya said at a recent event. She said currently the Supreme Court does not allow state-run banks to go for campus recruitment to these premier institutions as every vacancy has to be advertised so that everyone should be able to participate in it. 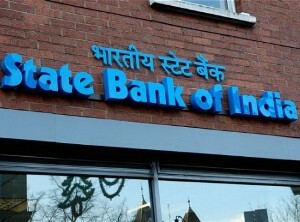 London : State Bank of India is determined to carry on retail banking operations in the UK despite a recent crackdown by the Bank of England on the operations of foreign-owned banks in the country. SBI, which has been operating in the UK for 95 years, said it is prepared to set aside 100 million pounds in ring-fenced capital and restructure its operations if that is necessary to keep operating on the high streets. Mrutyunjay Mahapatra, the UK head of the bank, told 'The Times' newspaper that the bank will keep serving retail customers in Britain as well as open new branches. New Delhi - The RBI's monetary policy review on Tuesday and a bunch of earnings from blue-chips including SBI, Mahindra & Mahindra and Hero MotoCorp, will dictate the near-term trend on bourses, market experts said. Besides, trend in investment by overseas investors, global cues, movement of rupee against the dollar, oil prices and progress of monsoon will also hold key for the markets. New Delhi: Public sector SBI and PNB could be among the first banks to tap capital market this financial year to raise funds to meet global risk norms Basel III, a top finance ministry official said here Friday. Financial Services Secretary G S Sandhu also said no final decision has been taken yet. "Which banks will go first, that we have to work out. We have asked all banks to submit their capital requirement plans. They have given their proposal and we are giving final touch to them. The schedule will be worked out soon," he added. Mumbai: State Bank of India has partnered with payments service provider, Ezetap Mobile Solutions, to deploy mobile point-of-sale (mPOS) solution. SBI plans to deploy 5,00,000 point-of-sale terminals within the next five years, it said in a release. "Mobile POS has the power to transform payments and commerce. It can be deployed easily and at low cost in every corner of the country," SBI's deputy managing director S K Mishra said. The SBI-Ezetap platform would allow the bank to provide value-added services for merchants and consumers from a single, secure POS device and application, he added. New Delhi, May 23State Bank of India (SBI), the country's largest lender, Friday said its net profit declined by 7.82 percent to Rs. 3,041 crore in January-March quarter of this year from Rs. 3,299 crore recorded in the same period last year. This is the fifth consecutive quarter of decline in profit for the bank. For the whole financial year 2013-14, the company posted a net profit of Rs. 14,174 crore, 20.89 percent lower than the Rs. 17,916 crore recorded in the previous fiscal. State bank of India (SBI), the country's largest lender, is taking bold steps to trim down bad loans or non-performing assets (NPAs), Managing Director & Group Executive (National Banking) A Krishnakumar said. Mr. Krishnakumar said that all zones of the bank had been asked to tighten the recovery of debts and cut NPAs, which have swelled to 5.73 per cent. He said the bank has already initiated legal action against entities that have not cleared loans, stressing that even major clients like airlines would not be spared. 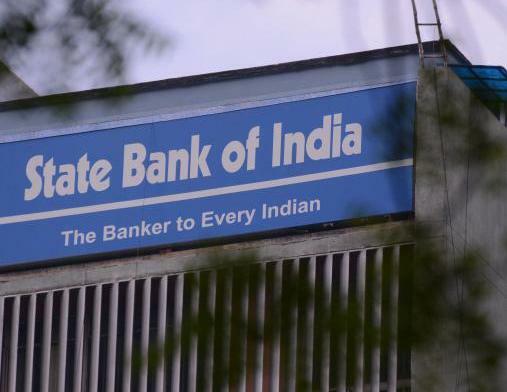 State Bank of India (SBI), the country's biggest stat-run lender, has welcomed the announcement of four-year moratorium on education loans, saying it would help lenders regularise their loan accounts. In the interim Budget for the financial year 2014-15 on Monday, Finance Minister proposed a moratorium period for each and every education loan taken up to March 31, 2009 and outstanding as of December 31, 2013. Mumbai, Feb 14 : The country's largest lender State Bank of India (SBI) Friday reported 34 percent slump in its net profit for the third quarter of the current financial year. The bank posted a net profit of Rs. 2,234.34 crore for the quarter ended Dec 31, 2013 as compared to Rs. 3,396.06 crore posted in the corresponding quarter of last year, registering a decline of 34.20 percent. SBI's non-performing loans or bad loan as proportion of total assets rose to 5.7 percent during the quarter under review as compared to 5.6 percent posted in the previous quarter. SBI Deputy Managing Director Shyamal Acharya has been ordered to proceed on leave, while an internal committee has been set up to investigate a graft case involving a loan worth Rs 400 crore. The Central Bureau of Investigation (CBI) has named Acharya along with former SBI Assistant General Manager KK Kumarah and Worlds Window Group's Cahirman Piyoosh Goyal in the graft case. The investigative agency's Mumbai Economic Offences Wing (EOW) has already registered a case against Acharya, Kumarah, Goyal and other unknown officials of state-run lender and private persons.